The League needs your talents and skills! Newton Little League is an all volunteer organization, and we are always looking for responsible and enthusiastic individuals to coordinate league activities and help ensure the league runs smoothly. Parents, grandparents, siblings, aunts and uncles, retirees, former Little Leaguers, friends, neighbors ... any community member who wishes to become a volunteer may apply. In compliance with Massachusetts CORI regulations AND Little League International Child Protection Program, all volunteers must agree to background checks. If you are coaching or volunteering for the league you will need to register and agree to a background check. Please register via the link provided below. After you’ve completed the registration form, please send a scan of your photo ID, to the league Safety Officer, in Shelton. When you apply to become a volunteer, you give NLL the right to conduct necessary background checks. On rare occasions, the Board of Directors may deny an individual the privilege of volunteering for reasons, past or present, that may be detrimental to the positive development of young people or other volunteers. do as a volunteer ... there are many opportunities! Being a manager or coach requires time, patience, and basic knowledge of the game of baseball. You will be required to attend meetings and hold practices in addition to leading the team during games. You will communicate with the parents/guardians of your players to inform them of any schedule changes, rainouts, and NLL events and activities. For more information, contact the league's Coaching Coordinator, . 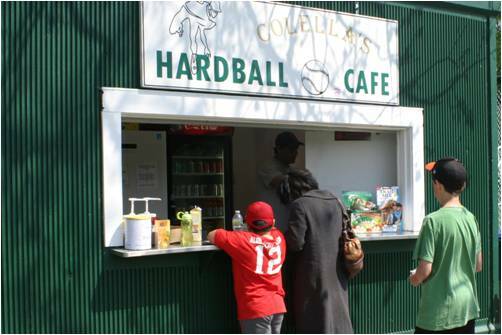 Team Parents organize the team’s concession stand schedule, and they may also help organize post-game snacks in the youngest player divisions. Team Parents also assist the manager/coach with informing players and their parents of team meetings, parent meetings, and NLL events. For more information, contact your team’s manager or coaching staff. NLL holds a number of fundraising and community events throughout the year, and the success of every event rests upon the legion of volunteers who step forward to help. Whether it’s leading the planning committee, pitching in on the day of the event, or spearheading the clean up crew .... there are many ways to participate. If you are interested in taking on a significant league fundraising role, please contact the League Vice-President, . If you want to help with a particular event, you can respond to the “call for volunteers” that we post online prior to each event. NLL hosts District 10 Little League Tournament games at Murphy Field, and some years we are fortunate enough to host the Newton City Series Tournament. These are great opportunities to show off and share our beautiful facilities and also generate revenue for the League. Running a good tournament game and making it a special experience for the teams requires a group of dedicated volunteers. In addition to having people prep the field and run the concession stand, we need people who can be the Game Director, the Official Scorer, the Pitch Counter, and the Announcer. A call for volunteers will go out prior to the tournament. The NLL Board of Directors is responsible for the operation of the league. The Board, which consists of up to 17 volunteers, is elected at the General Meeting in the fall. Vacancies on the Board can be filled at any time throughout the year. If you are interested in joining the NLL Board of Directors, please contact any current Board Member. Some of the positions and roles that are assumed by various Board members are listed below.